Selecting a good play school in Hyderabad is no easy task. The competition among preschools in the city can be really confusing. As parents you need to consider a number of factors in making a choice of good nursery and kindergarten school. As such, www.eduvidya.com lists for you the top Play Schools in Hyderabad 2019. To make your search more complete ,each school mentioned in this list is complete with admission procedure. 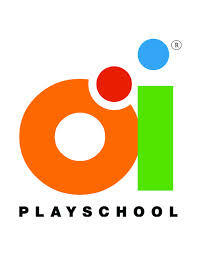 Oi Play School is an educational initiative of People Combine, a group that has redefined the way education has been perceived in India. Loyola Montessori House offers more creative, innovative and educative learning experience to mould and groom the students to face the challenges of the future. Himageeth Preschool was founded in the year 1991. Promoted in 2009, Blue Blocks, Gachibowli is a pre-school committed to fostering holistic development of children by introducing them to academic concepts and social skills, to prepare them for school. 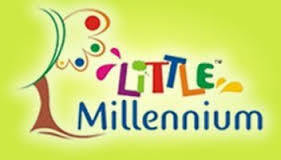 Little Scholars is a Montessori House of Children undertaken by Little Scholars Educational Society serving children between the age group of 2 to 6 years. Cremon School is an institution designed for the teaching of students under the direction of teachers. ABODE Kids International is India's 1st integrated preschool. Pebble Creek Education Society set up a Montessori House of children in the year 2005 in Sainikpuri, Secunderabad. Taraporewallas is the oldest Montessori House of children in India started by K E Taraporewalla in the year 1953. Nature Waldorf School which is affiliated to Dr. The Prerana Waldorf School believes in protecting the essence of childhood by providing a fully integrated and age appropriate education. Springboard, labeled as one of the best preschools in Hyderabad is a fun, safe and nurturing environment for little learners from 15 months through to 5 and-a-half years of age. Glendale Edufun, at Banjara Hills is one of the leading preschool and daycare centres in Hyderabad, managed by the Glendale Group. Niraj Kindergarten was established in 2009 by Dr.
Little Millennium Pre School is a growing chain initiated by the best and the most experienced minds in the field of education.